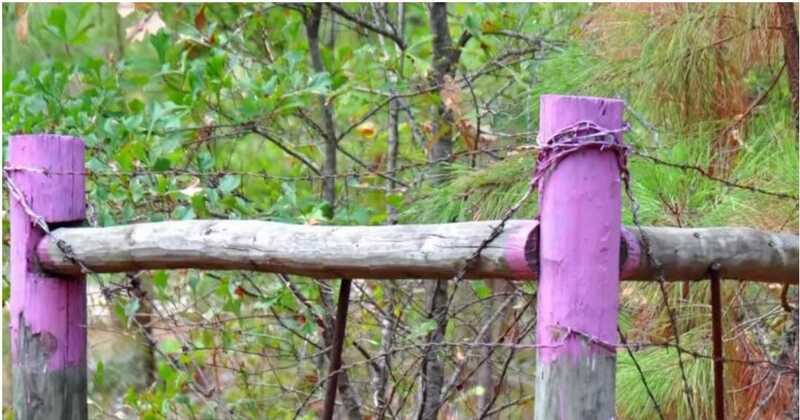 Here's what a purple fence post means – did you know this? Here’s what a purple fence post means – did you know this? 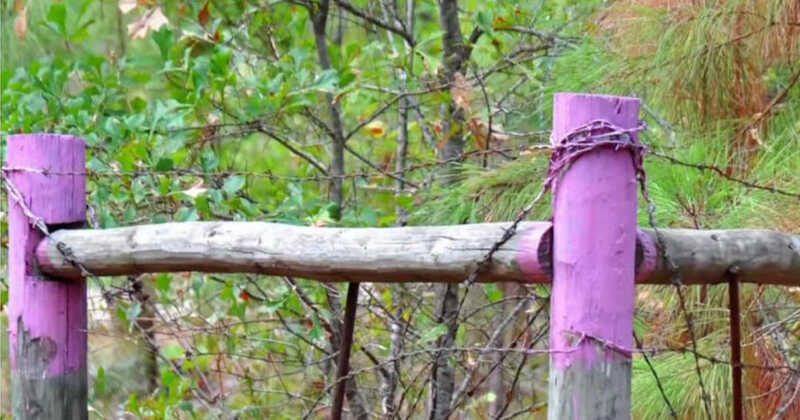 If you live in Texas, you’ve probably seen a fence post or tree painted purple. Maybe you thought it was strange, or maybe you didn’t think anything of it. I didn’t have any idea what a purple fence or tree meant, until now. It turns out that Texas and other states have the “Purple Paint Law”, but many people still have no idea what it’s for. But it’s important to know, because if you see one of these, you should turn around and walk away immediately. Read on to learn what a purple fence post means, and help us spread this information further by sharing this story. 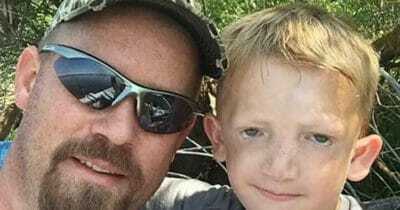 The law was first passed in Arkansas in 1989, and several states, including Texas, North Carolina, MIssouri, Florida and Kansas, have since followed suit. The law was introduced to make it easier for landowners to mark the boarders of their land, without having to constantly check to see if a fence or sign they put up had been damaged or blown away by storms. Legislators most likely chose the color purple because it stands out and is even visible to people who are colorblind, reports the Independent Journal Review. In other states, such as Idaho, Montana and Arizona, orange is the color of choice for “No Trespassing” paint. Can you get shot if you trespass? Despite what many people may tell you, it’s not legal for landowners to shoot you if you happen to wander past one of these purple markers, however they do have the right to remove you with force if you’re caught trespassing. In any case, it’s best to keep your eyes peeled for this purple paint when you’re out and about. And if you see a purple fence post or tree, make sure to turn around and walk the other way. You can learn more about the purple paint law in the newsclip below. Did you know about this law before? Help us spread the news to others by sharing this story on Facebook, and tell us what you think in the comments!